The Machinist members at the bargaining table couldn’t believe their ears. “It was a heartbreaking moment for every Machinist in that room,” recalls District 70 Business Representative Tyson Kelly. 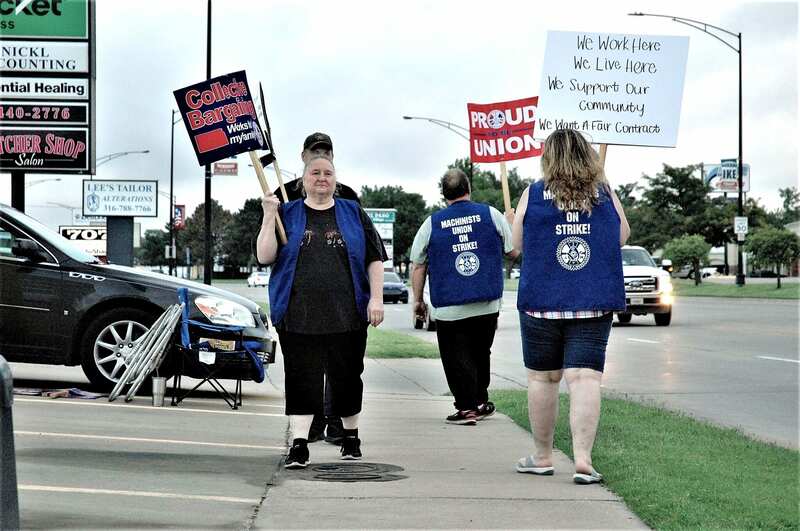 That was the sentiment shared by most of the nearly 40 Machinist members from Local 708 in Wichita, KS who made the tough decision and voted to go out on strike against Garnett Auto Supply Inc./Jobbers Automotive Warehouse, Inc. when their contract expired at midnight on July 31. According to Kelly, it’s not just wages the company is attacking. They have also tried to takeaway retirement options, insurance and even seniority. Their story is making waves in the community newspapers and on the ground as strikers continue to get support on the line. 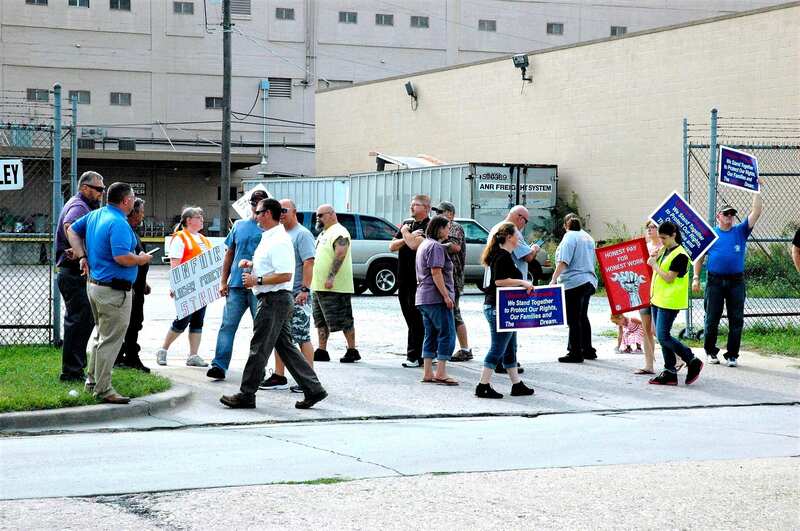 Drivers from both UPS and Hampel Oil Distributors have refused to cross the picket line and their Brothers and Sisters at the Teamsters Union have been making sure the Machinists’ message gets out. The post Nothing but Takeaways appeared first on IAMAW.